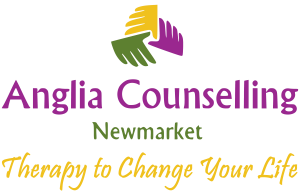 Frequently Asked Questions - Anglia Counselling Ltd.
Take a virtual tour of my office! Do you provide online counselling? Each session is at least one hour, but longer sessions can be catered for on a pro rata basis. What appointment times do you have available? Appointments can be arranged between 10am and 7pm from Monday to Friday. Late afternoon and early evening are most popular. For individuals, my fee is £70 per hourly session. Couples working together have the option of either a 60-minute session for £90 or a 90-minute session for £105. Do you accept payments via health insurance invoicing? However, I do have clients whose employer settles invoices through the company books or accounts payable. It’s clear that there are times where cancelling a booked appointment may be necessary. However, it should be stressed that when booking an appointment, the service provider has committed that time and the facilities to that booking and contract. You are buying something of value, whether it is possible to attend or not. Clients are advised that in booking an appointment they are reserving a room and a therapist’s time exclusively for their needs. If you need to cancel your appointment for any reason, you may do so without charge by giving at least 48 hours notice. This allows your therapist enough time to re-book the cancelled appointment slot and avoid unnecessary service disruption. It also provides an opportunity for those waiting to be accommodated. You can then be contacted to make arrangements for an alternative appointment should you require one. Is there long term therapy available from the NHS? I have suffered with anxiety and depression on and off for probably 10 years. I am just completing 8 sessions of CBT following a period of decline Sept 2014 but the therapist has been unable to do much CBT focused work due to my low mood and extreme emotion. I feel I need more intense therapy which she agrees and my GP has referred me back to mental health team. My occupational health adviser suggested a referral to a psychologist for longer term support and medication review but my GP thinks this is unlikely and to be honest I’m so confused about what is available and what to do next. I am desperate to reduce my medication and try and get my life back but am finding a massive lack of support to do this. I seem to have yearly breakdowns in mood and ability to function and would so love to prevent this, rather than wait for it to happen and keep having medications increased. Would be very grateful for your advice. I currently take 375mg Venlefaxine and 15 mg Mirtazapine daily. Thank you for your question and for sharing your story to date. It’s pleasing to read that you are determined to interrupt what has become predictable for you. Finding that ‘key’ to unlocking your negative thoughts and emotions is, as you are aware now, paramount. There is generally (sadly) no long-term therapy available via the NHS other than any ongoing support from your GP and others who see you in primary care. It’s both pleasing and heartbreaking that you recognise what is required if you are to have an opportunity to reduce your symptoms. Unless you can find the finances required to see a private therapist the options are to continue to search for your own solutions where available. This is how I finally came to find my ‘peace’. When you buy care from psychological services privately, you do have an opportunity for your strategies to be created in collaboration with the therapist, so it becomes a bespoke program that is unique for you, and driven by you. There is also greater accountability for both! Without understanding more about what you have tried and experienced over the ten years or so I couldn’t suggest anything more specific at this time. For me however, it was Mindfulness and learning the practise this way of ‘being’ that has brought the greatest change. I wish you every peace and thank you again for sharing. Do get in touch if I can help any further. Who can book an appointment with you? Individuals of all ages (above 8 years) for matters arising from family disharmony, relationships at home, school or work. I meet and collaborate with individuals for resolution of their anxieties, phobia’s, certain addictive behaviours, symptoms of depression, pain management, stress, sleep disorders, and any number of other psychological challenges outside of ‘serious’ diagnosed psychiatric conditions. If you are unsure, or have any questions, please drop me a line. Building trust, and maintaining confidentiality, is a fundamental condition therapists must take great care to build and preserve. It is a core requirement, with the only exception being where the risk of substantial harm to the client (or another person) which cannot be mitigated. It is very rare that confidence is challenged, with most scenario’s being managed within the discussions. What should I expect from counselling? I just wanted some ‘peace’; my mind was constantly ‘chattering’ from when I awoke in the morning – to last thing at night. Counselling is essentially an interactive, human, and personal experience between two people and requires commitment of time and effort to create an effective process for both therapist and client. The aim for the counsellor is to empower the client with a strategy to regain balance in their lives. Any of these may be useful and are dependent on the individual’s challenges and approval. Any techniques for consideration are discussed beforehand to ensure the client has a full understanding of what is involved and how it may help. 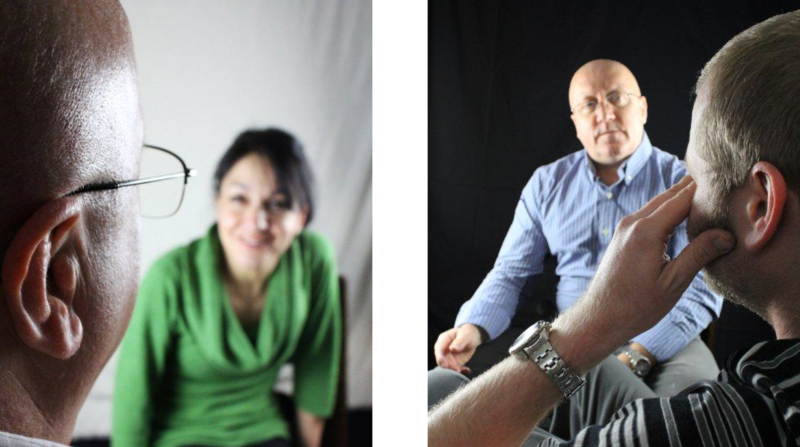 In any interaction personal development, motivation and ultimately a more relaxed outlook is the desired outcome whilst offering supportive coaching of the individual around work, relationships, health, and other relevant matters in a non-judgemental, private, relaxed, and considerate way. My performance at work has returned. I have re-discovered my creativity. I’m more mindful both at home and at work. I adhere to the code of practice of the British Association for Counselling & Psychotherapy and my insurance arrangements are available for you to view within the consulting room. 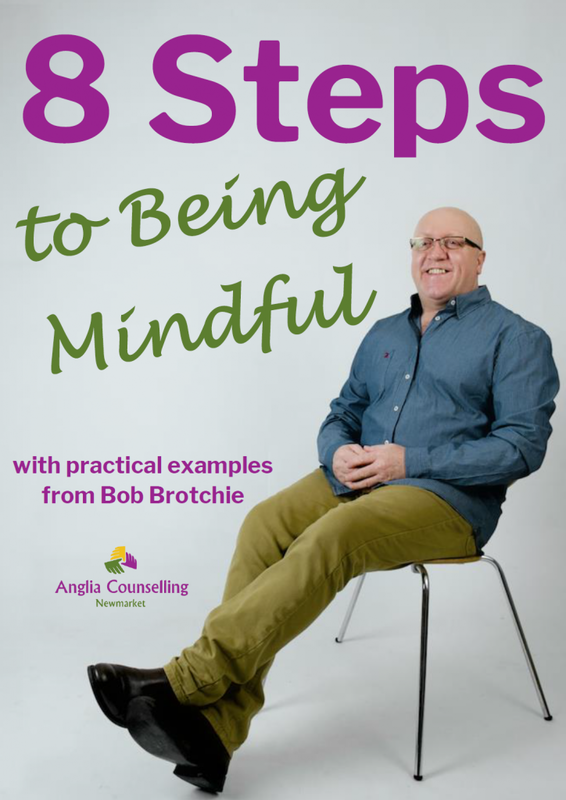 How do I find Anglia Counselling? If arriving from A14 or A142 (Exning) you can either go into Newmarket, up to the old clock tower roundabout and left at the High Street. About a mile down this road (heading towards Bury St. Edmunds) are traffic lights, turn right here and this is the Moulton Rd. 3-4 miles along this road and on the right-hand side you will see the sign for Lanwades Business Park (just beyond the Animal Health Trust). An often easier route is to head on A14 (from Cambridge/Newmarket) towards Bury St. Edmunds, take the A11 Thetford/Norwich exit, travel approximately 2 miles, then exit at Chippenham/Fordham/Kentford. At top of slip turn right and Kentford is signposted for the next two miles until you reach a cross-road junction. Turn right here and approximately 100 metres on the left is Lanwades. This is the easiest route in my experience. Pull into Lanwades and locate a parking spot beyond the first buildings on the left where most parking spaces are available to all site users. 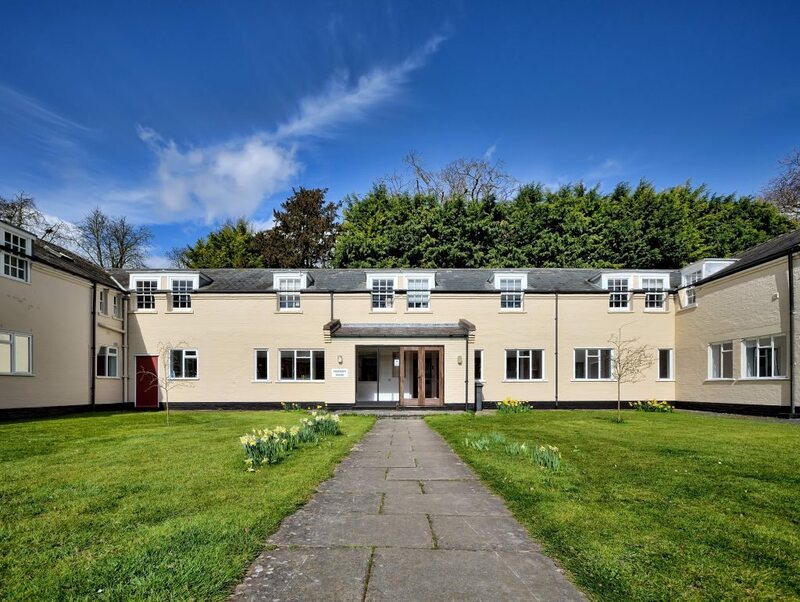 If you look to the left as you drive in, you will also see a walkway which leads you to a courtyard of cream painted buildings, one of which is Rosemary House. My office is located just through the entrance doors on the ground floor. 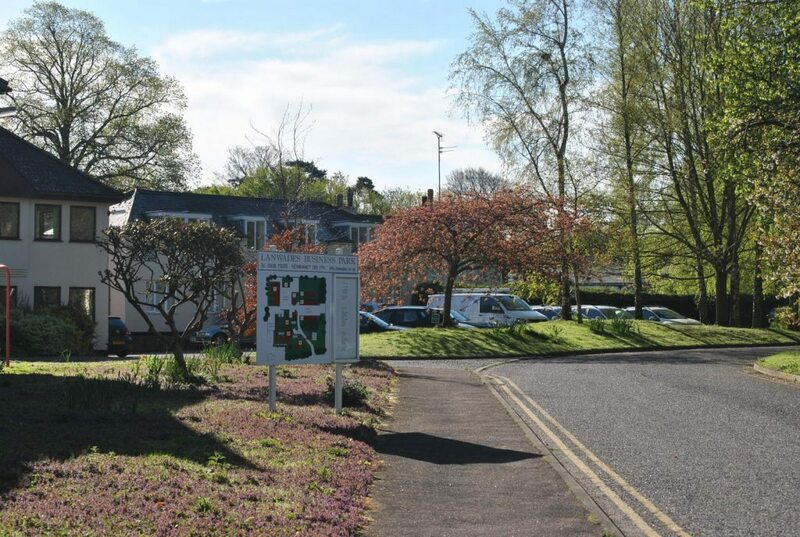 If you would like me to meet you at the doors, or outside near the parking area, call me on 01638 554791 upon your arrival.